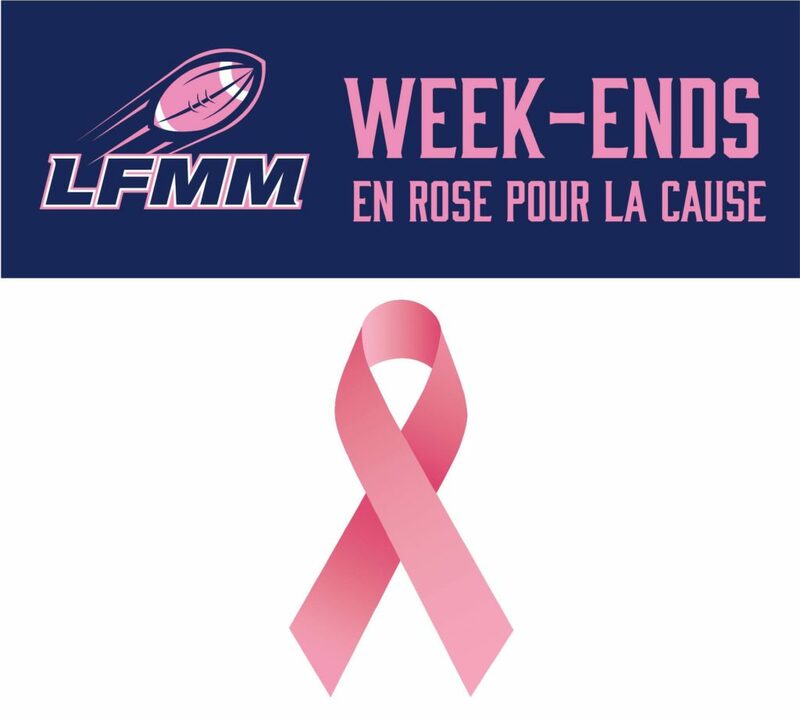 To highlight the Breast Cancer Awareness Month, the Lakeshore Football Association is hosting the “EN ROSE POUR LA CAUSE ” weekend during the games played on Saturday October 13th at the Kirkland Bénévoles Park. 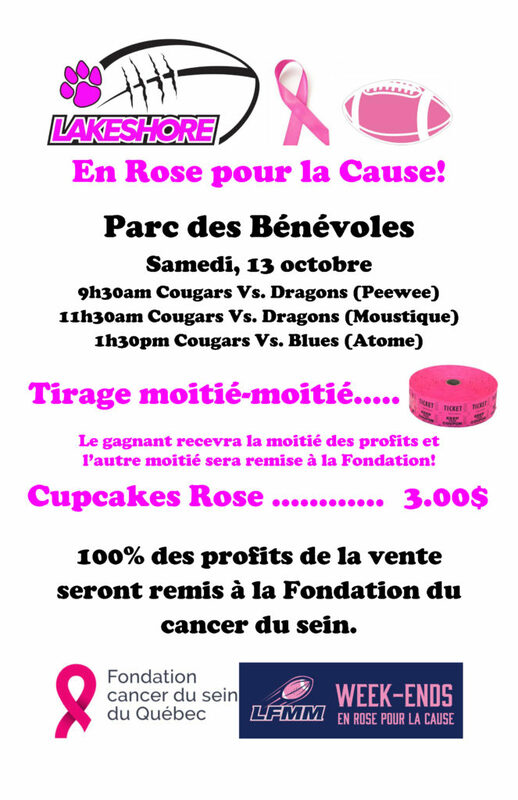 During these days, sales of pink cupcakes and profit from the « Half & Half » raffle will be donated to the Quebec Breast Cancer Foundation. Durant ces journées, les recettes des ventes de cupcakes roses ainsi que les profits des tirages « moitié/moitié » seront remises à la Fondation du Cancer du sein du Québec.